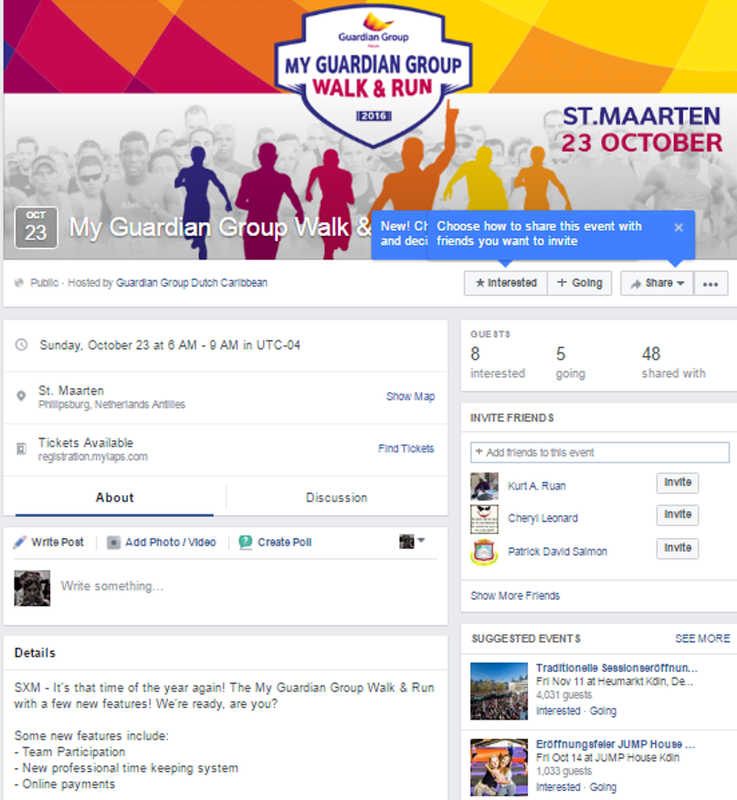 The Guardian Group Fatum have created the event for the annual My Guardian Group Walk & Run. One of the largest Dutch Caribbean events of the year on October 23rd! Great prizes and a fun time for the whole family. Check out the event for more information and we also ask if you could please, share on your page! Registrations are now open and can be paid online.